Last year December came in with a dusting of snow on Beacon Avenue. Photo by Wendi. 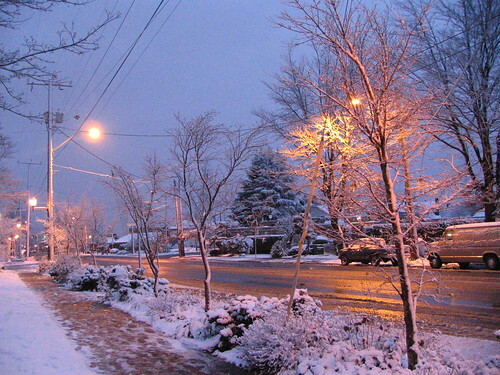 Perhaps this picture of a snowy Beacon Avenue will get you in the holiday spirit. This was taken last December 1, when we had a lovely dusting of snow that promptly melted. This year, temperatures are running about ten degrees above normal, so we aren’t likely to get any snow for a while. It never hurts to have those tire chains ready to go, though. Eventually it will get colder.